It’s been a busy year for new hires! We have two more to add to the growing list. 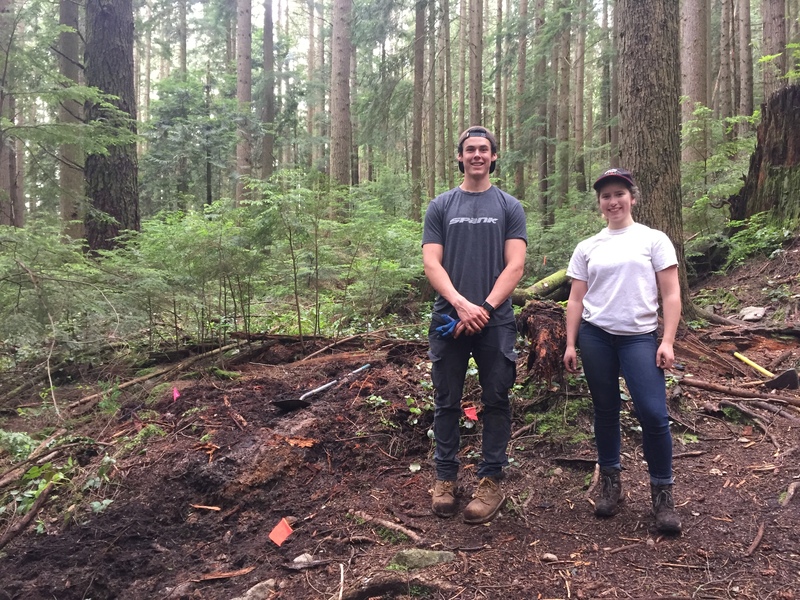 Please join us in welcoming Daniel Shaw as our Trail Crew Builder and Alanna Jones as our Summer Student Trail Maintenance Labourer. Daniel knows trails! He has competed in the UCI Mountain Bike Junior World Championships and through his carpentry work he brings a knowledge of hand tools that translates well to bridge and technical trail feature building. Alanna is a nursing student who leverages her first aid knowledge as part of the Cypress Ski Patrol team. 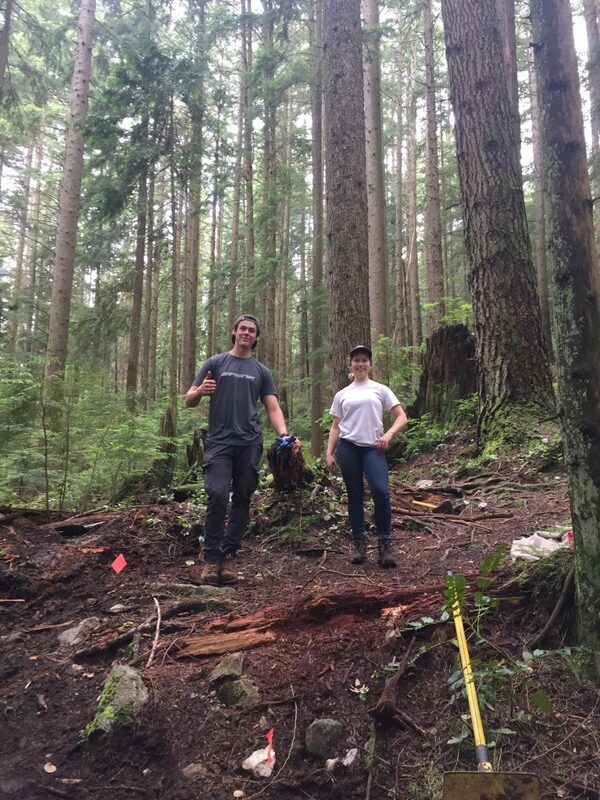 Both Daniel and Alanna have participated in trail maintenance days on the North Shore, so they had a good understanding of the effort required to keep our trail network of more than 70km in great condition. The caliber of candidates applying for each of the roles we post is outstanding. While it’s wonderful to have so many people keen to join us, it’s really tough cutting down to a shortlist and subsequently selecting the final successful candidate. We use a panel interview approach with a ranking scheme to keep our process as objective as possible. For those who are interested in future opportunities, we look for experienced people who are engaged in the community and share our values in performing volunteer work. First aid certification is a bonus, interaction with the public, the ability and equipment to work in all weather conditions, and general enthusiasm. If you’re keen to apply to future roles, attending one of our Academy sessions and becoming an active Shore Corps member is a great head start.